Picasa as Teddy Bears Easter egg in Picasa tool.Easter Eggs are hidden message coded by developers just for fun, but they are against computing policies to include them in the software. 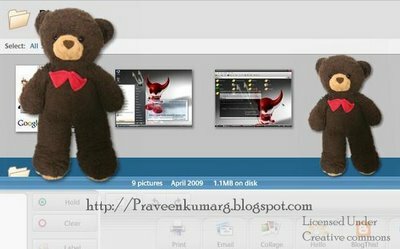 If you use the shortcut key combination Ctrl+Shift+Y in Google’s Picasa tool, you’ll see a teddy bear. If you press the key combination more than once, you’ll see a whole bunch of them. Don’t forget to see other funny easter egg under Easter Egg Category.